Progress is being made on the construction site for the new HAIX® WORLD in Mainburg, Germany! Apart from shopping in the store area, fans of the HAIX® brand will soon have the option to visit HAIX® WORLD and to watch how HAIX® boots are produced. Through the glass wall, visitors will be able to see the manufacturing process first hand. A video will also show them how things are made at the factory in Croatia. Consumers will thus gain an insight into the world of HAIX® and see for themselves what "Made in Europe" really means. 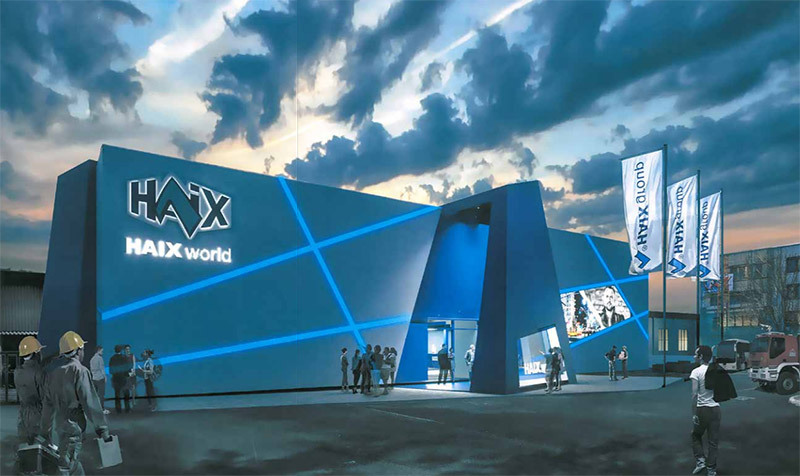 HAIX® WORLD will open in spring 2019. Stay tuned for updates as work continues.